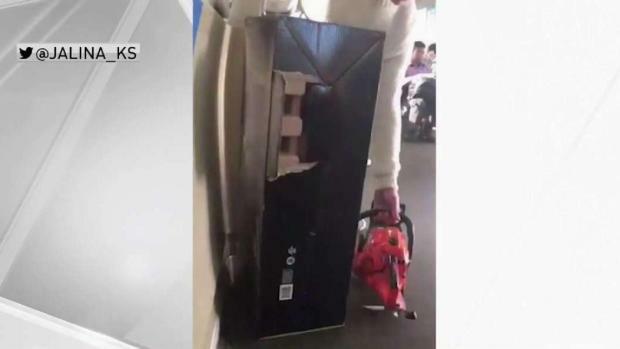 A 47-year-old man has been arrested after a BART passenger posted a Twitter video on Monday of a man handling two electric chainsaws on the train to Richmond. Anoushah Rasta reports. 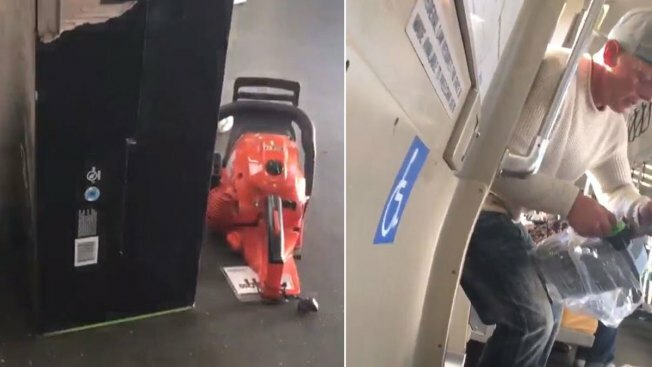 A 47-year-old man has been arrested after a BART passenger posted a Twitter video on Monday of a man handling two electric chainsaws on the train to Richmond. Patrick Bingman was allegedly the man caught on camera taking out seemingly brand new chainsaws out of packaging and fiddling with them, raising concerns for the BART rider who took a video of him and alerted BART. "I was on the Richmond train they stopped him when he got off at lake Merritt coming from Fremont y’all didn’t do anything UNTIL HE GOT OFF why did y’all wait!??????? ?," the passenger tweeted at BART. Bingman got off the train at Lake Merritt station where he was arrested, BART police confirmed. He was taken into custody for making threats. Bingman was also found to have several outstanding arrest warrants. BART officials responded to the concerned rider on Twitter saying, "We've never seen anything like this before. Best thing to do is to snap a pic and send it to dispatch via BART Watch App." Transit riders have been feeling unsafe on BART following the stabbing of 18-year-old Nia Wilson at West Oakland and other prior attacks.